Obituary for James J. Golden | Knight-Confer Funeral Home, Inc.
James J. “Jim” Golden, 58, of Williamsport died peacefully at home Friday, August 17, 2018. Surviving is his loving wife of 34 years, Cynthia (Kase) Golden. Born September 18, 1959 in Williamsport he was a son of the late Joseph Golden and the late Kathleen (McLean) Chapman. Jim was a graduate of Loyalsock High School and was employed as a biomedical engineer for ISS Solutions-Geisinger Medical Center for the past 10 years. He was very proud of his achievements in his career and was always advancing himself by obtaining the next possible certification. 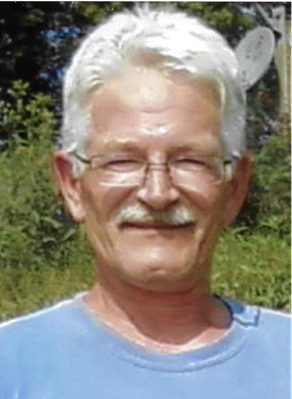 Jim was a member of St. Joseph the Worker Parish and enjoyed fishing, camping, boating, and electronics. Above all his greatest joy was his family, especially his children and being “Pappy” to his grandchildren. Surviving in addition to his wife are four children, Chris (Lindsey) Golden, Matt (Jenny) Golden; all of Williamsport, Jen (Clayton) Keefer of Chambersburg and Jonnie Golden of South Williamsport; eight grandchildren, Noah, Brayden, Isaac, Mikayla, Emma, Grayson, Logan, Ryker and one on the way; step-mother Barb Golden of Lancaster; two brothers, Ken and Mike Golden of Lancaster; a sister Annie McGlynn of Reading; several nieces and nephews; lifelong friends, Stan and Amy Buffington and a dear circle of extended family, friends and colleagues. A Mass of Christian Burial to honor the life of Jim will be held 10 a.m. Thursday, August 23, at St. Joseph the Worker Parish, 702 West Fourth St. Williamsport. A viewing will be held from 6-8 p.m. on Wednesday August 22 at Knight-Confer, 1914 Memorial Ave. Williamsport. Burial will be held privately in Resurrection Cemetery. Memorial contributions may be made in Jim’s name to the American Cancer Society, 1948 East Third St, Williamsport, PA 17701.